The U.S. Securities and Exchange　Commission (SEC) adopted the　final　rule　pursuant to　Section　1502　of　Dodd　Frank　Wall　Street Reform and Consumer Protection Act, called Conflict Minerals provision, on August 22nd, 2012. The rule requires listed companies, etc., to disclose and report to the SEC about the use of conflict minerals (*1) originating from the Democratic Republic of Congo or adjoining countries in their products. The Ricoh Group views the Conflict Minerals Issue (*2) as an important CSR issue, and is constantly working to improve transparency in the supply chain together with its business partners, also ensuring responsible mineral sourcing practices. Ricoh, as a member company of the "Responsible Minerals Trade Working Group", launched in May 2012 by the Japan Electronics and Information Technology Industries Association (JEITA), is participating in a Working Group for the entire global supply chain. 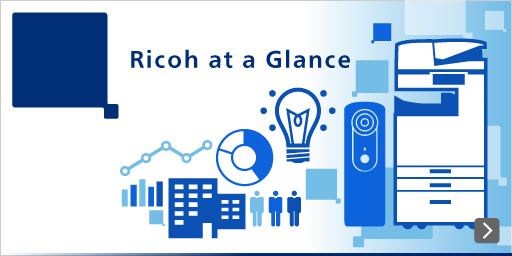 Activities of the working group include compliance with the rule, all part of Ricoh's commitment as a good global citizen. (*2) the issue that certain minerals mining or trading finances armed groups and fosters conflicts, or closely related to human rights abuses, labor issues or environmental destruction, etc.